In a country ravaged by almost four decades of war, peace is a precious phenomenon. Here in Afghanistan, where an entire generation has known nothing but conflict, violence and instability, whatever peace remains as fragile. Besides Afghan government, many regional and those of the world major powers-initiated peace processes to seek an end for the ongoing bloodsheds in the war-torn country. But most of these processes failed due to interferences of certain countries, as they were seeking it for their own interests. Recently Russia hosted meetings on Afghan peace talks, but the government refused to attend those meetings, calling the Afghan-led and owned process as the only solution. 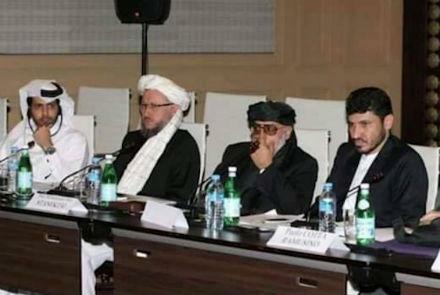 Moscow’s contact with the Taliban is not new and there have been reportedly contacts since 2005. Russia has allegedly shared intelligence with the Taliban, and there has been much media reports that Moscow has even armed them. Russia’s contact with the Taliban has even given the militants a position of legitimacy and recognition. Russia’s so-called security interests, mainly transnational terrorism and drug trafficking aligned with Afghan and American objectives. Moscow’s efforts can be useful when they are well defined and are held in unison with efforts by Afghanistan and the United States, as two major parties to the conflict. Currently US is in negotiation with Taliban in Qatar to ease the Afghan-led peace process.Since there are no reports of discussions, but it seems the two sides have agreed on certain issues and raised hope for starting of an Afghan nature of the talks. Meanwhile, the Presidential Palace on Saturday said the Afghan government would not participate in Moscow-style upcoming conferences. Presidential spokesman Mohammad Haroon Chakahnsori told media in Kabul that the government would attend only those meetings in which the Afghan government could play an important role. This should openly be noted that no peace talk would give result and no negotiation would be in the national interests, unless the process was directly led, managed and controlled by the Afghans themselves. This is not only the stance of the government but also the people who have sacrifieed their children or family members for defending the country and they also support their own elected system, by any mean possible. Presence of the foreign forces means nothing, if an enduring peace restores in Afghanistan, as president Mohammad Ashraf Ghani has said no one wanted foreign troops remain in their country, but this required a sure inclusive peace and security to facilitate the international forces’ leave from the country. Meanwhile, regional countries, in particular, that of Russia’s contacts that can embolden and disincentive the group to come the negotiating table goes against the stabilization needs of Afghanistan. Their peacemaking efforts must meet Afghanistan’s needs, which include initiating negotiations, achieving a political solution, and ultimately peace, and then maintaining that peace. Afghanistan cannot be stabilized when regional actors play dual games and continue open and secret support of the militants.